Dare to do mighty things! Obstacles are something we all face in life and learning how to overcome them is an important lesson that helps build who we become. 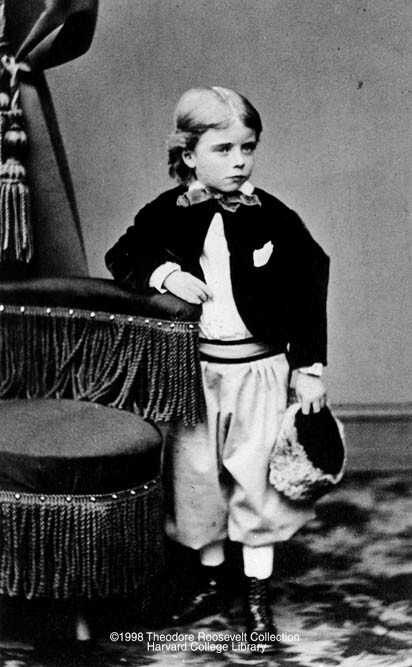 Theodore Roosevelt was born with Asthma and many physicians at the time believed it was potentially fatal to the young boy. His broken body meant that much of his time was spent in bed, reading about the thing that he desired most that he could not do – adventure. His resolve was to find a way first in his mind to imagine adventure and then push his body to make the dream into a reality. This message is as important today to our children as it is a reminder to adults: That is important to dream and try and understand that success is not guaranteed but that failure is seldom permanent. Roosevelt accomplished great things because he tried – and you can too! 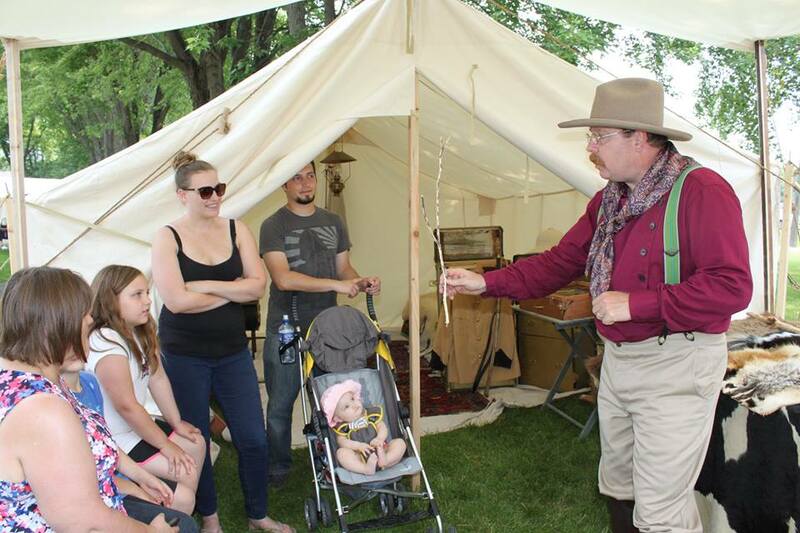 These past few days I had TR camp set up at HistoryFest in Mankato, Minnesota. This is my 4th year doing so and I really appreciate this event because of its visionary, Jack McGowan. Jack decided that children who are laughing and playing while also learning will take that more to heart than through a standard history lesson. 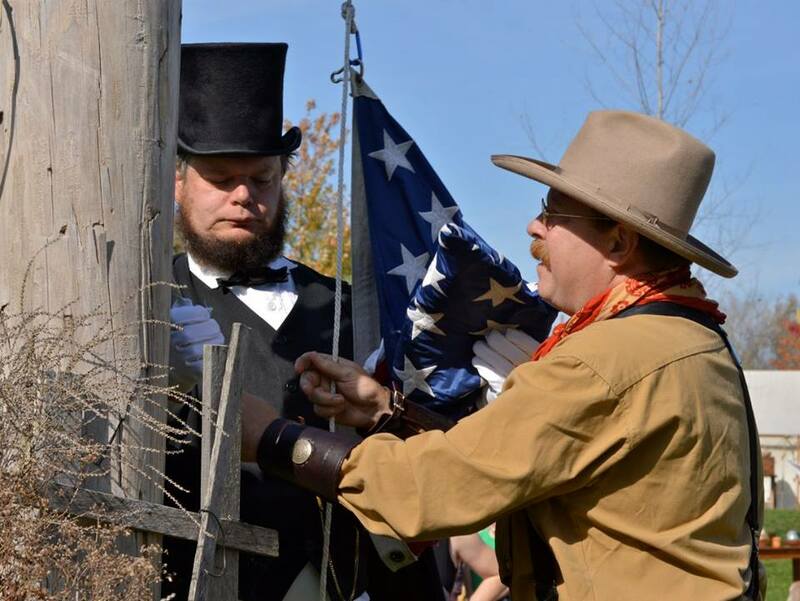 This year, he celebrated his 20th year of having history presenters and games at his farm, where local schools bus in 4th graders from across the district and many more across the State. What is special beyond his vision is his impact. During the past year, local high school seniors were required to write a paper on something they have done that they felt was highly memorable and special to them. Twenty five percent of the students wrote their stories on Historyfest. While that number is impressive, remember this: students in the school district go to the event in 4th grade! What a testimonial! We all love great testimonials and thankfully over the years I have been blessed with many from students and teachers. In reality, Roosevelt is a pretty impressive part of our American heritage and a great role model with fun stories. But Historyfest proves to me that interactive learning leaves a imprint that lasts longer and creates an impression that children carry with them. It shows the importance of lessons that include the value of hard work and perseverance that our fathers and forefathers needed to shape our country. It allows children to find that place that resonates with them so that they can go back to the classroom and research more. I hope that some students learn that our past leaders may be better measuring sticks for what they will need in the future, as they chose their leaders. As part of TR Camp, I invite the students into my camp after a talk outside to see inside the tent to understand how the President traveled when he was on Safari or camping. The tent is full of antiques and TR memorabilia so they have a lot to see! During this event, I had a young boy who was deep in the back of a class. When other students went inside, he stayed behind. I asked him f he was going to look as well. “I hate history” He told me. “Those who forget history are condemned to repeat it” I said. “Yeah, I heard that” he said, arms crossed. We spoke for several minutes, just he and I. I started to explain to him the lesson of the lemming: That it is sometimes very good to stand alone from the pack and observe, but to observe the important things – the things that will help you in life. As we spoke man-to-man his arms slowly lowered, his face turned from grimace to grin. After his class was exiting he went into the camp and once inside asked great questions just as a new class started to gather and sit on my Safari boxes outside for their starting discussion about TR. “Thank you Mr. Roosevelt” he smiled as he rushed out to catch-up with his class. That was fun! Probably my favorite was the pike station, then Teddy Roosevelt, then pottery, then silver smith, then candle making. I loved going to Big Island Rendezvous! Next we went to see Teddy Roosevelt. When we got there he told us how he grew up and what happened in his life. He told us about his famous bear hunt and how he didn’t want to kill the bear. Whew! I have perfected my work a great deal over the years by listening to my audience, finding those stories that truly resonate and of course, adding some funny stories into the mix to make sure they leave with smiles on their faces! These kind of hands-on events really allow kids to experience history in a special way, and I hope they continue to develop programs like these nationally for kids to truly learn to enjoy our shared American heritage.